Chestnuts roasting by the open fire, presents underneath the Christmas tree, and peppermint hot cocoa are just a few holiday customs that make this time of year so wonderful. Being a homeowner during the holidays means you have the privilege of experiencing these traditions in your own home. So, if you are debating whether or not you should stop renting and purchase a house, there is no better time to become a homeowner than now. Buying a house during the winter season means housing prices could be offered at an all-time low. But before you get started, you will need to speak with your Hamilton mortgage broker so you know what property types you can afford. 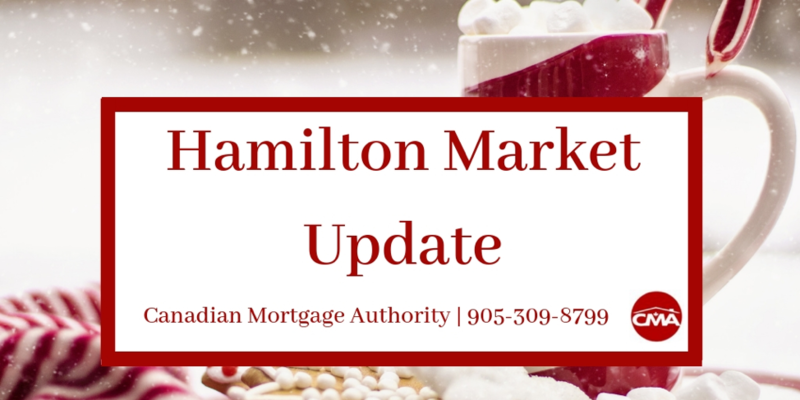 So, to help you get started, the Canadian Mortgage Authority team has listed the most current residential market update for the Hamilton area. Over the past year, the residential market trends for all property types has been changing. According to Zolo.ca, the average sold price for December 2018 is $517,000, which is a 7.2% decrease in price over the past month and a 4.6% decrease over the past quarter. The current average sold price, however, is a 2% increase since December 2017. Since homes have been decreasing in price over the past quarter, now would be an excellent time to lock in an interest rate with your mortgage broker in Hamilton. Before they get more expensive. As for specific property types, in December 2017, the average sold price for detached houses was $533,500 and one year later the price dropped to $502,500. For townhomes, the average sold price in December 2017 was $451,000 and increased to $460,000 the following year. Condominiums followed a similar increase in price as compared to townhomes. In December 2015, the average sold price for condominiums was $320,000 and by 2018 the price had jumped up to $369,000. It is expected that the housing rates are going to get more expensive in the near future, so talk with your local broker now to get started on an application for a Hamilton mortgage. If you would like to receive more information on the current residential market trends for the local region, please contact the Canadian Mortgage Authority team at 905-309-8799.